The Beetle Black Double Sided Paper is a must-have staple in your scrapbook stash! This paper is part of the Petite Prints Collection and showcases a gingham pattern on one side and linen on the other. 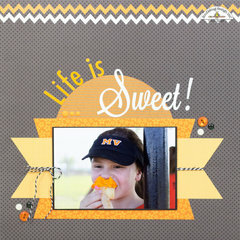 Included is one sheet of 12" x 12" paper by Doodlebug Design. Made in the USA. When I received this incredible paper, I was delighted with the color intensity and the thickness. I used shades of pink paper with it and made some amazing valentines. My next Scrapbook.com order will definitely include the other available Gingham and Linen colors made by Doodlebug Designs. UPDATE: I ordered other colors, and love them just as much!! !